Grow your best crop with Radiate®. It’s time to give back to the crops that have given you so much over the years. Grow your best season by giving your crop Radiate—specifically designed to help develop longer, stronger, healthier roots to improve nutrient uptake. This powerful root growth technology increases your plants’ ability to utilize more essential nutrients and water in your fields. The unique balance of IBA and Kinetin consistently supports maximum root growth and plant performance. Ideal for corn, soybeans, cotton, peanuts, wheat, potatoes, sugarbeets and dozens of other crops—one thing is for sure, if it has roots it needs Radiate. 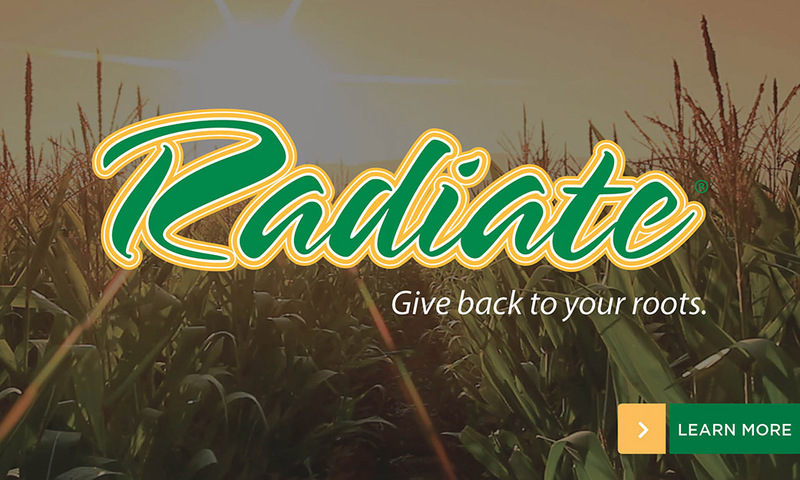 What growers like most about Radiate is that it offsets the stresses caused by weather, and it promotes a vigorous response after various applications. Great crops always start with a healthy and robust root system. [Radiate is] consistent, too. You don't cross your fingers and just hope it happens."